Carl Nielsen’s large production of around 300 songs comes in many forms. 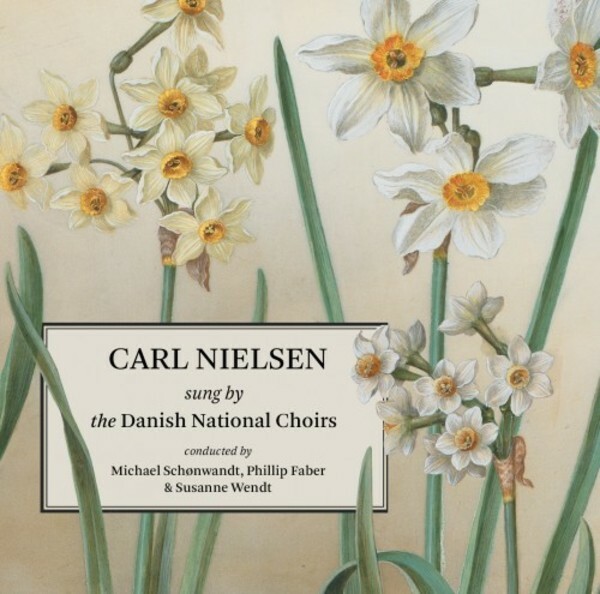 In this collection we hear 25 choral versions of the most popular Nielsen songs like Den danske sang er en ung, blond pige and Solen er så rød, mor as well as more rarely heard or even unknown choral songs. Listen, for example, to the composer’s beautiful – but today entirely forgotten – proposal for a new Danish national anthem; a handful of fine pieces for male choir and not least a series of polyphonic songs for children’s and girls’ choir, including rare jewels and some of the most well-loved songs in Danish schools and homes today.